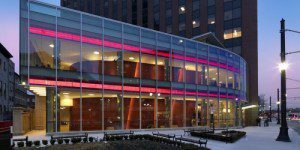 Founded in 1929, the Rutgers Business School-Newark and New Brunswick (RBS), part of Rutgers, the State University of New Jersey, is located at the Rutgers’ campuses of Newark and New Brunswick with satellite campuses in Jersey City and Madison, NJ. Along with MBA and EMBA programs, RBS offers undergraduate degrees in business, master’s degrees in Quantitative Finance, Information Technology, Business and Science, and Accounting, and a Ph.D. program. The traditional full-time MBA and EMBA programs are housed on the Newark campus while students in the part-time MBA take courses at the Newark or New Brunswick campuses with the option to take core or foundation courses at the satellite campuses in Jersey City and Madison. Dual degree options include a JD/MBA, MD/MBA, a MS in Public Health/MBA, a MS in Public Policy/MBA, a M.C.R.P/MBA, a MS in Biomedical Science/MBA and a PharmD/MBA. Since 1941, the business school has been accredited by the Association to Advance Collegiate Schools of Business. Just 10 miles from New York City, RBS’s Newark Campus is an approximately 20-minute train ride away Manhattan via NJ Transit. The Newark station is three-quarters of a mile from the campus, which is also accessible from the New Jersey Turnpike, Garden State Parkway, Route 280 and Route 78. The New Brunswick campus is located 40 miles away from New York City and 60 miles from Philadelphia. The campus is approximately an hour’s train ride to Penn Station, with the New Brunswick station two miles from campus, and it is also close to New Jersey Turnpike, the Garden State Parkway and I-287. The Newark International Airport is located roughly 40 minutes away from the Rutgers campus in New Brunswick, which can be reached by train or car. In Newark, RBS is located in the first 11 floors of 1 Washington Park, in the northeast part of the main campus. At the New Brunswick campus, the business school is housed in the Janice H. Levin Building Jubilee Hall, on the eastern section of the central campus. There are 1,147 students enrolled in the school’s MBA program, as well as 36 in the MBA for Professional Accounting, 119 in the Executive MBA program, and 21 in the International Executive MBA. There are 199 full-time faculty members at RBS and 203 part-time ones, who come both from academic and researcher backgrounds and professional business experiences. Organized across six different academic departments, professors contribute to RBS’s 17 research centers along with their teaching responsibilities. RBS offers a full-time two-year MBA, a part-time MBA, and an Executive MBA.